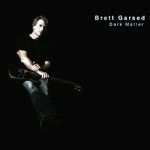 It’s nine years since Brett Garsed’s last solo album, Big Sky. And while his output has more or less declined in volume this past decade, his latest album, Dark Matter is a great example of contemporary Rock Fusion, along the lines of Big Sky as well as many of his numerous appearances and collaborations. Although I only got the album a few hours ago, I have found it to be particularly interesting in that it literally ‘fuses’ (pun intended!) several familiar — at least to me — related styles: Vintage Satch, Liquid Tension Experiment, touches of Holdsworth, Fripp, Metheny and Shawn Lane. The tracks are more upbeat and energetic than those found in Big Sky; jazzier at times, heavier in others, with a distinct bent on fusion. I particularly enjoyed Avoid the Void, Dark Matter and Enigma, although I cannot say that any of the other tracks were disappointing. Dark Matter may be an interesting album, yet it is somewhat typical of the genre, which has been largely stagnant for years. It may lack the exceptional feel one finds at times in Big Sky — there are no tracks like Trinity or Drowning, for example — but includes many tracks with more uplifting, polished and — I might argue — technical deliveries of interesting compositions and improvisations that lean heavily on Garsed’s signature technique and sound. For those enjoying rock fusion, progressive rock and virtuoso guitar instrumentals this is definitely an album worth getting and listening to. Those more familiar with Garsed’s competence and compositional skills (and more demanding of their music) may have expected a bit more.